Product prices and availability are accurate as of 2019-03-21 22:26:23 EDT and are subject to change. Any price and availability information displayed on http://www.amazon.com/ at the time of purchase will apply to the purchase of this product. 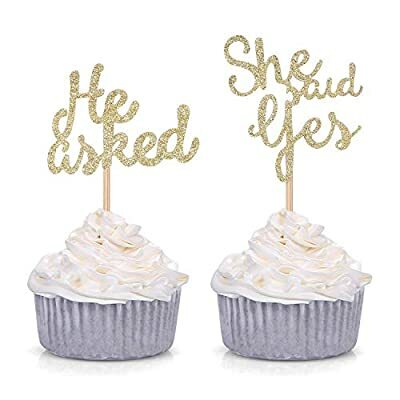 Please note that these cupcake toppers are single-sided, the other side of the toppers are plain white. 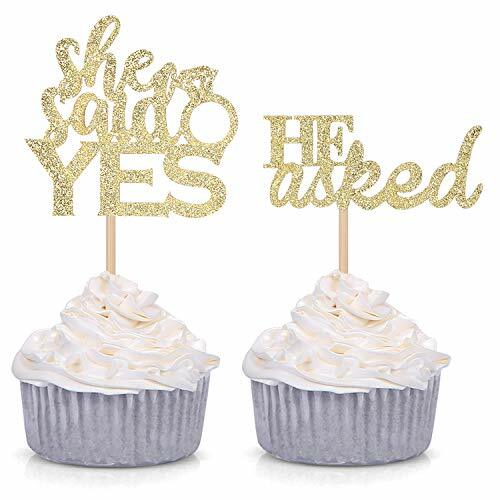 Perfect decorations for cupcakes and donut on wedding, bridal shower, engagement party etc. Material: gold glitter card stock and wood picks. Package includes 12 He asked picks and 12 She said yes picks. Perfect size for cupcakes and donuts. Handcrafted and pre-assembled.